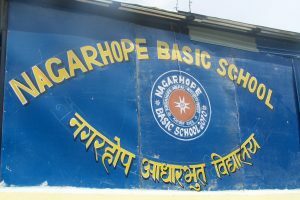 After a few years of Nagarhope’s work sponsoring children in other schools, running community programs, it was decided that we needed a base. 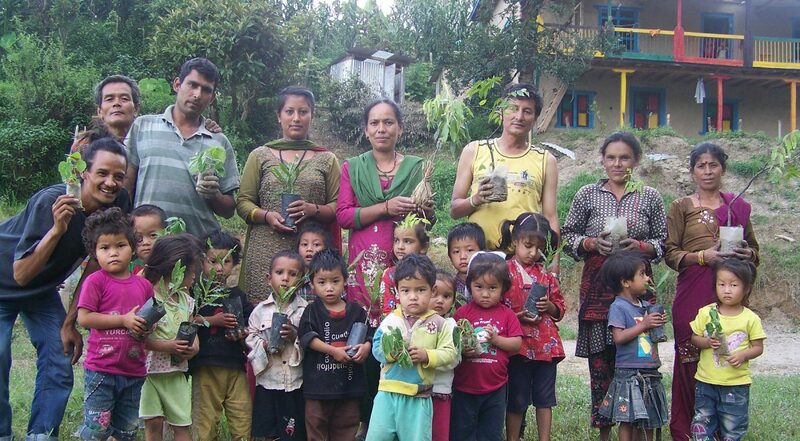 To establish a base, what was required was to invest in land close to Nagarkot. After searching and viewing plots for a year, we finally bought 10 Ropani (1 ½ acres) of land in Sathikurya / Gurungaun, 3 ½ kms down a rocky road from Nagarkot. We tried our hand at farming for a few seasons, but without our own labour, manure, tools etc . . .it was costing us more than we could actually sell the produce for. So it was that we started plans to construct what was originally meant to be a ‘storeroom’, but ended up a full size 2 ½ storey village house, completed in April 2014. We now had an empty house with nothing in it, lots of empty rooms, windows and spaces where magic might happen, if it were any use to us . . . It was never really planned in advance, but sometime during the construction of this house, the thoughts to open a class for young village children crossed our minds. And a meeting in May of that year where parents and children and villagers were called was the first step towards what is now Nagarhope Basic School. Nagarhope’s School has become our main focus, here we can concentrate and monitor education from our own premises, employing local teachers, catering to the local community. We ran Pre-school classes for 3 years, and in 2017 upgraded to the first level of primary school. From December 2015 to May 2016, we spent a lot of time deconstructing due to the earthquake and reconstructing, completing 5 rooms including hall and computer room, office and two classrooms. We also started a full vegetable and herb garden, expertly tended to by our caretaker Binda Gurung, who has been with us since our school started. As we move forward, and to run full primary classes up to Class 5, we will require more buildings, furniture, toilets, staff etc . . . In order to achieve this goal, we have already in place a plan to build a 6-roomed Primary block to be completed mid- 2019. The plans must be passed by district appointed engineers from the district education office, we must get the budget for this project passed, and we must fundraise money in order to fund its construction. The fundraising for this started in July 2017, when a concert was performed in aid of Nagarhope by Elvis and the Way it Was Orchestra, in Westmanstown Garda Club. A massive thanks to Kevin Doyle and his team for what was a wonderful evening of song and showmanship. 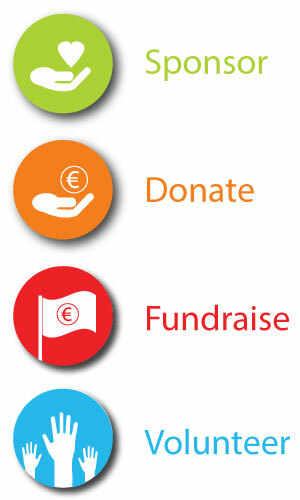 In January 2018, Doc, Alan McGuinness from Sallins, Kildare, Arjun Thatal and Arjun Magar, both Nepali, are attempting to cycle across Nepal, also to raise money for the primary block. The cycle itself consists of a 1170 km cycle over 20 days. A follow up SPIN cycle event in Ireland, on February 10th 2018, will take place in Super Valu, Lucan, and will see a big team of volunteers aiming to cover the 1170km milestone in ONE Day through taking turns on numerous fixed cycles. See events page for more details on CYCLE events.